I love everything you have done for me. I am so impressed with everything and level of professionalism has been beyond expectations. My broker is very happy with the results and I just want to say thank you so much for all your hard work. This has been the best decision I have ever made for my business. Please tell Jamie, Nicole, Randy, Karen, Nancy, John, Denise and everyone involved with my project how much I appreciate the beautiful work they have done and with such patience. Thank you so much! What an awesome year driving my business to the next level working with the Lones Group. It all began with a level of energy, responsiveness and idea brainstorming that defined the path forward. This level of connection was maintained throughout the year as we worked through our business plan leveraging the Lones Group extensive toolset to produce a refined, professional business image and marketing content set that will take me forward for many years. Just, or perhaps more important, was the fantastic support provided by all members of the team which gave me the confidence and enthusiasm to 'reach for the sky'. I am grateful to the whole team but especially Denise, Shauna, Melanie and Mandy who I worked most closely with and were quite simply awesome. Denise has been my real estate business and personal coach since 2011. I can honestly say I don't know where my business would be without her. Her expert real estate knowledge combined with her genuine passion to make a difference in her clients lives, both professionally and personally, make her one of the leading and most sought after real estate coaches in the United States. Under her direction, I have been able to take my career to a new level of professionalism and have seen continued growth, even going through the difficult times a few years ago. I always want her on my side! I have been a Realtor for 27 years. 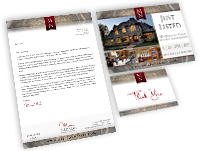 In 2013 I hired the Lones Group to refresh my marketing materials and they did a SPECTACULAR job! I took Denise's class. This is a class that COACHES you on how to become a better more efficient agent. To get straight and to the point - Denise is AWESOME!!! She helped me function better and become a better agent. Denise has the best instincts of anybody that I have ever met in my life. It does not matter if you have been in the business for 2 months or 20 years - Denise Lones is the best coach in the world and she will help you become better, more efficient and succeed. Denise and the Lones Group have definitely been instrumental in building my brand, streamlining my business systems and my life to help it run smoother for me and my clients. She is an awesome mentor to have in this industry and I couldn't recommend her more highly! I trust her, she is reliable and consistent. I would always give her 5 stars for the highest rating! Thank you Denise and The Lones Group! I immediately became one of your clients and I am so glad that I did. Denise, because of your marketing plan and program I sold just under $7,000,000 in my first year in the real estate business. Beginning 2007 I have 19 listings that total about $15,000,000. That is a strong beginning for anyone, but I owe all of this to you. The best thing that has ever happened to me is you, Denise, and, "The Difference Is Marketing. Thank you so much. All of you have meant so much to me even if I have been a bit silent about it. So much knowledge from all of you that just comes at times without thinking. I do appreciate it. Sometimes we forget to say it, but thank you from the bottom of my heart. I can pay for my daughter to go to college because of the gifts you have given and taught me about this business and the confidence you have instilled in me in my life. I get caught up in the crazy world of RE, family and life but want you to know that I am thankful for you, your mentorship and friendship and so damn proud of how far I have come these last 10 years in the business. I could never have done it without you. I was in Denise's advanced coaching group for several years. Denise is a genius at developing new strategies for her real estate agent clients to stand out from their peers in the business. She developed my branding and showed me how to use it to make myself the best and most professional agent I could be. She is a master at encouraging her agents, building them up and giving them the tools to live up to the hype. Her support and encouragement made a huge difference in my business. It is a privilege to recommend Denise Lones. Why? Because she gets results! Denise has worked with our company and agents since 2001. Working with Denise is more than a quick fix that wears off over time. She assists agents in setting standards that maximizes the agent's reaching their fullest potential. Her approach to time management with agents addresses their total life style. Priorities are recognized and she emphasizes building from strengths. When a total makeover is necessary, she goes to work. The first few years I was in this business my marketing materials were completely random and not easily recognizable or consistent. I even tried working with a couple of graphic designers to at least establish a logo that I liked, and none of the ideas they came up with ever seemed to fit what I was looking for. The Lones Group took the time to really assess my personality, style, likes/dislikes, and it made all of the difference in the world. They nailed it, conceptually. Then we were able to work through the little details until I was completely satisfied. Now, people comment that they 'think of me,' whenever they see a vintage key or something in the Tiffany-blue color that I utilize in my branding. That's how I know the power of branding is working! I am very grateful to The Lones Group for helping me create a brand that I love, and that sets me apart from other agents." My experience with Denise as my real estate coach has been awesome! Definitely pushed me out of my comfort zone! Many times thinking and voicing my concern and insecurities - are you sure Denise? Denise convinced me to leverage my time! I trust Denise totally. So I did. Denise gave me the confidence to push forward-to implement new marketing programs, systems, client care and follow thru, relationship building. And the referrals flowed in! The fun is just beginning! We are only getting started. Denise is a true visionary and marketing guru! It works! Amazing! Thanks Denise! Denise is a fantastic instructor and her classes are usually sold out. I asked her to speak at our national Women's Council of Realtors meeting during our yearly conference and she was a huge hit, as I knew she would be! Just want you to know how much I appreciate you and thank you, so much, for all the wonderful things I've learned from you over these five years. I so often think of you and find myself saying 'what would Denise say?' I love your confident personality... I gain strength being around you. Seeing you yesterday reminded me, again, of what an impact you have made on my successes. I can't say enough about Denise Lones. She is one of the most incredible people I know. She has done so much help me get back on track with my business and branding. Her company The Lones Group is AMAZING!!! Denise is passionate about providing her clients with creative tools and solutions in order to develop their full potential. She possesses a rare blend of expertise, insight and compassion which allows for a 'custom-fit' coaching experience. The results have exceeded my highest expectations. They have designed my web site and marketing materials. Since the first of the year I can identify two new clients who said they called me because of the website so I know it works! Over the years I have enjoyed the many classes and seminars Denies teaches and always know they are time well spent. I have practiced the market tracking I learned in her "It's All About Price" and it has helped me to always know the market I work in and be confident in helping my clients price their homes or buy one with confidence. Working with Denise Lones was actually a pleasure. Her team was able to get a good feel for my personality and how I wanted to run my business right from the start. They in turn were able to create beautiful marketing piece for me that I still use today. People are always impressed by the professionalism of my marketing pieces and I owe that to The Lones Group. They are always professional and prompt with their services. Hiring a business coach was the step I needed to take in order to elevate my business to the next level. Denise Lones and her team have given me the necessary tools and support to take the chances and make the changes that have done just that. It is a pleasure and delight to work with Denise and the The Lones Group. I first started working with Denise to jump start my new career in Real Estate. With her coaching I set up valuable systems to use every day in my business which have definitely set me apart from other agents in my area. She is an expert in the field of Real Estate and her guidance and knowledge makes her the perfect coach for anyone looking to jump start a new career, revitalize a stale career or anywhere in between. Denise helped me become a better leader by providing exceptional tools, training, and support to excel in the real estate industry. I met Denise when I was a 4 day old agent when she talked about having little puppies that she coached. I thought I want to be one of her puppies and 4 months later I became one. She is awesome. She is perceptive, she read body language, and she can tell me what I am doing when I don't even realize what I am doing. Presently once a month instead of phone calls we meet in person for role playing which has been the most helpful experience ever. I feel like I have learned more from Denise in 8 months than I could have learned in 8 year on my own. Oh my gosh! I love this! The small tweaks that you made look amazing! Thank you! (okay, lots of exclamation points... can you tell I'm excited?) But seriously, I really really like my package. Thanks for your attention to detail and the additions you've made to help it all come together. I just heard myself say aloud, "these are freakin' awesome" before I realized I'd said it... HA! How's that for a stamp of approval? Thank you again for all of your hard work and expertise. Choosing only three attributes to describe Denise Lones isn't enough! Denise is very personable, she took time out of her busy schedule to talk with me frankly about questions I had as a result of one of her blog articles. Very helpful, knowledgeable, insightful among many other best qualities. The Lones Group was great to work with for my branding as well, the process was easy and convenient. Patience is their virtue in my experience. I highly recommend Denise Lones and the Lones Group. A HUGE Thank You to Denise Lones and her team. It's amazing what I pick up from our monthly gatherings, and usually at the appropriate time. I went to a listing presentation yesterday armed with my boards, CMA and a smaller version of my usual presentation. Yes, after last week I knew I needed to make some adjustments. Only an hour went by after I left and the clients called and gave me the listing. They said I blew the competition out of the water with the presentation! So with that, I thank you once again. Denise and her Team at The Lones Group are truly the experts when it comes to Real Estate marketing, promotion and market knowledge. I've had the pleasure to work with Denise personally on a number of occasions and refer Realtors to her regularly. The experience working with Denise whether on marketing or as a student in one of her classes always leaves you like you received way more than your moneys worth. She is a dynamic presence and a true leader in our industry! Denise and The Lones Group have helped me build an amazing and powerful personalized marketing program to build my business with confidence. The opportunity to learn from Denise and become a client has been one of the most intelligent business decisions I have made in building my real estate career. The tools and knowledge she has given me over the past months would have taken many painful years to learn on my own. She has taught me what clients really want and it works! After only two months of using my new marketing materials and implementing a few of her systems, the response I have received has exceeded my expectations. My newsletters and marketing materials are now making my phone ring every single month! My previous marking generated no responses in 12 months. I finally feel that I have the tools needed to set myself apart and take my business to the next level with confidence. Denise is one of the most dynamic, tangible, and down to earth educators in the industry. Denise, you are a great friend and truly an angel in zebra strips! I would not be in this position without you! A bold statement, but the absolute truth. Here is the latest from Real Estate Guru, Denise Lones. She was voted one of the top real estate professionals in the US a couple years ago and does Denise ever know her stuff. I am proud to say I have gone through her intensive and extensive training and am continually learning from what she and her team puts together. Thanks Denise!! When I first met you, I was burnt out. I was trying and trying and could never make real progress. Two steps forward and two steps back... consistently. From our first call I felt the change. I started reading the news every week and sending my potential clients news articles once a month with a personal note. I wholeheartedly embraced the systems you taught and made them part of my daily, weekly, monthly and annual routines: the Dino book, the annual reviews, how to start my first farm and creating the farming "bible," my branding and the quality materials, the open house presentation board and the open house tour, a real quality CMA, how to work with different personalities, my biography, what to research and where to look to be an expert, how to word ideas to get my message understood, ideas for monthly mailings, using a clipboard for my buyers and offering them snacks, tracking pending ratios every Monday, changing my voice mail message daily, re-looking at my quality of life, reaching out to my potential clients weekly, being less scared of conflict, feeling confident in my pricing and giving my clients superb care. You make it simple by showing me the exact steps and being there if I ever have a question. And there have been times when I needed help with situations and you have been there 100% with answers and wonderful encouragement. I am an expert! I know how to research appreciation, how to price right, how to understand local markets and am learning how to communicate my systems and knowledge to my clients. My excitement creates an enthusiasm within my clients. It's an ever growing circle that I've never felt before. I met Denise is Seattle going to a "Stop Wasting Time & Money" class and offered to help her carry her stuff into class and she asked is I would park her car in the pouring rain which I said of course. She later said that she never, never lets anyone drive her car. The week before I was reading an article on the internet about hiring a coach. I then found out Denise was a coach. Her business systems made so much sense to me that I pursued her for 6 weeks before she took me on as a client. Having monthly coaching meeting and goals has kept me focused and has taught me parts of the business that I wouldn't have learned elsewhere, especially balancing your personal life and work life. Thank you for all your help and time! This is so exciting, things are coming together great! I am so so excited to start implementing this into my business! Here are three of the terribly tacky marketing materials I was using. Looking over these definitely makes me SOOOOOO excited. Woosh, lifesaver on the tacky scale. I appreciate you! Denise is probably one of the most dynamic people in real estate I know. I will forever hold the highest respect and gratitude for what she did for me when I was in the hardest spot in my career. When the market tanked, she kicked me into gear and helped me become a high producing and happy REALTOR. Her techniques, creativity and integrity are above and beyond what I would have ever dreamed of someone that would want to work with me. Her team is spectacular as well. It says something when the same people are within her organization years later. Quite impressive. Just like family. Love you Denise! Going through Denise's coaching program, Evolve, gave me excellent tools, helped me develop systems for my business and helped me to become a better real estate broker. It really gave me a 30,000 foot perspective on my business. I am excited to implement all of the things that I have learned and believe that my clients will receive the highest level of service as a result. It is well worth the investment! Dear Denise, You are absolutely the Queen Of Branding & Design and Real Estate coaching. We got lucky with our DUCKIN.COM success. But you helped us shape our feathers from the very beginning. Your brillant stripes have guided us for 15 years plus years of specDuckular business and personal success. Joyce and I are forever grateful. We love you and will always treasure our relationship. Duckin Real Estate just keeps on quacking! Business has never been better. It is an easy sell because it truly works. I have 6 new listings coming out in the next 2-6 weeks... if anyone needs proof that Mastery works! I have never had 6 listings at the same time before, ever! Thank you to Shauna, Denise, and Randy, great teamwork! I cannot express the sense of accomplishment and hope which has evolved from you, your guidance and your program. The rewards are intangible to calculate and I can never thank you enough. Hi everyone, I really enjoyed the webinar, so thank you!! I always take away something useful to use in my business. These webinars are just another way to help us stay motivated and to help us maintain fresh ideas to make our businesses stronger. Thank you for helping us to stay focused and be the best we can be, it is very much appreciated. Denise has been the greatest coach and mentor to me for the past year. My business has grown tremendously, I have many more systems in place, and I have even more confidence in myself. Denise is a delight to work with and I cannot recommend her enough. Denise Lones has provided invaluable inspiration coupled with practical tools that helped launch my real estate career and prevented common mistakes made by others thanks to her experience and real estate genius. First I would like to say that my personal marketing that you designed for me is absolutely fantastic! The design and colors convey so much of what I love and feel that I smile every time I look at a piece. Everyone that knows me personally says that it is "ME". I haven't had it long and just got my business cards recently. I couldn't wait to get to a planned business seminar so I could freely pass them out. I enjoyed the other agents taking a second look when I handed them my card and hear them say "Nice Card!" every time! My flyers look great, even from a distance and I look forward to doing my mailings now instead of dreading them. I also joined Club Zebra and this makes them even easier since I don't have to find an article every month or come up with something to mail. The article not only look great on my Marketing template, but conveys to my clients that I am a knowledgeable realtor, and keep up on what is happening in my business. I am a Real Estate Specialist! The fact that I can have a group call to discuss what the article is about in detail gives me even more insight to what is happening in the market today. As I begin putting the 36 point system into effect, I am looking forward to my most successful, professional, and profitable year yet. I'm not through with you yet, you will be seeing more of me I'm sure. Denise Lones' workshops are the best training I've received by far. Working with The Lones Group has immensely helped me organize my business with systems that focus on strategy and consistency. Denise knows what agents need and how to simplify, yet build business. I am confident looking into the future that my business will continue to grow. I can focus on clients without constantly restructuring. Denise's systems, custom marketing and The Safari Club articles keep me up to date with current trends. It's all about presenting myself as an expert. Thanks to The Lones Group for making this readily available! I have been selling since 1983 and this is the best year ever. I met Denise in April of 2001 and thought about working with her as a personal coach. Since working with Denise and taking her advice I have had an incredible year, the best year ever since I have started real estate. Again, taking her advice, I let people do their own thing and be there to support them. This has dramatically changed my business because I am helping them. Great news, the neighbor just came over with my mail, and the storyboards are here! Bad news, they are both BEAUTIFUL. Wow! You guys are miracle workers. What is the #1 thing I learned this year? I don't have to do it all alone. One of my big reasons to join was to be in a group of other brokers that had the same enthusiasm I did, that were willing to share, and were very motivated to being their best and building their businesses. I definitely found this! I have taken advantage of this by calling people in between our meetings, plus networking at the meetings. I feel like I have a firmer foundation about the market, negotiating/conflict, what others are doing in their businesses. Knowing I have somewhere to go when I need something is very reassuring to me. I really enjoyed working with the Lones Group in putting my marketing package together. Everyone on the team at that time was very friendly and helpful in guiding a brand new agent in figuring out what could be used to "brand" me and then working to get the colors, font and layouts that I liked. I have enjoyed the branding logo and make sure my logo is everything that leaves my office. I think it has set me apart in people's minds among the sea of real estate head shots. Denise is an expert in the real estate field, and is helping me grow my business to the next level. Most of all, she cares about me, my life, and truly desires to see me expand and increase my business, while still enjoying a good personal life! I have hired Denise on many occasions throughout the years to instruct continuing education classes for our real estate clients. Denise is always fully prepared and incredibly knowledgeable about the subject she is discussing. She is a favorite with our clients! Denise helped me make my mark in the real estate industry by developing my "brand" and providing insightful tools to become a successful agent and an expert in my field. I have learned a tremendous amount from her skillful guidance and support. Denise has been a hoot to work with. That sounds more like fun than business, but in reality Denise has brought fun back into business. She has taught me, and countless others, that being a successful agent does not mean spending tens of thousands of dollars on pointless advertising gimmicks, knocking on doors and making unsolicited phone calls, or working 50-60 hours a week trying to drum up new business. Her tried and true systems are so simple they would likely raise the eyebrows of die-hard, success-at-any-cost "career" agents, but the fact of the matter is that, once her systems are in place, it is not necessary to reinvent the wheel every month, trying to come up with some new, intriguing way to lure customers away from the competition. And the best part about Denise's systems is that you don't have to beg for business; it comes to you. By means of her program, you become the expert in your market through the art of attraction, not a "used car salesman" in the real estate field. Denise has surrounded herself with hand-picked experts in her field, marketing, and she makes their expertise available to the "average" agent at a very reasonable cost compared to the potential that her systems can bring to the average agent. Each and every person in her organization that I have dealt with through the process of redefining my business model has displayed 100% interest in what I want to accomplish, while at the same time offering honest and constructive recommendations. There are no egos to feed at The Lones Group; they are dedicated to making the client happy, while at the same time providing uncompromising commitment to quality. Oh my goodness. It's a million times better than I envisioned! I love them both. I'll print these and stare at them over the weekend. It's amazing. My printer said today that you certainly know what you're doing with the publisher files, because they are done right. You have no idea how many people I'm going to drag these things around too, just to show them off once they're done. Thank you!!! I just want to thank you for a great Safari in Vancouver for the last two days. You have really hit your stride with instructing and I am so proud of you. The ease with which you convey the information is so smooth and natural. A true teacher! I appreciate so much what you are doing for me and other agents. I watched Kelly from Poulsbo come to life there. You changed her life forever. So I just wanted to take the time to let you know that my own gratitude is immeasurable and our friendship is treasured. Thank you both so much for everything. My site is amazing!!! You both have been so helpful throughout the entire process. I really appreciate all the hard work and effort in getting my new site launched. Thank you again and Have a wonderful day! Dear Denise, I want to thank you for the huge impact you have had on my business. I am so glad that you caught me so early in my career. I have followed your suggestions and implemented your ideas with which I have had tremendous results. I have had many instructors in my life and you are by far the best. You have up to date information that works in the everyday world of the real estate professional. I am so impressed with the time and research that you put in with your focus groups, to find out what the customer really wants. Please give my thanks to Wendy, Virginia, Misha and the rest of your staff as they have all been excellent. If I can ever help you in any way, or speak with someone considering your training please don't hesitate to call on me. The first time I met Denise I thought she was the best instructor I had ever had. She's so much more than that. I have hired Denise now for three years as my 'Real Estate Coach' and she has transformed not only the way I work in my Real Estate career, but how I look at my life as a whole - looking for success AND balance AND overall quality of life. She doesn't sugar coat what she has to say to me and I need that. She tells me the truth, lets me know what I need to change, and then helps me through that process. I know that I am one of the fortunate few. Denise has incredible skills to help real estate brokers to take their business to a higher level by providing excellent market knowledge, custom fit marketing materials and continuous support. I now know how much I can accomplish if I manage my time. Hour of power helped me to stay on track with projects and helped me to finish up my personal projects. Being accountable has a new meaning. I've finished my buyer and seller's book, which I'm so excited about. I use these every day and I look so good with these tools, they give me confidence during presentation. Thank you so much for keeping me on track! There were so many things that I have learned over this past year it is difficult to name just one thing. For me, though (a social/promotor), I think that taking just one thing and do a little was not only the most diffiuclt but the best thing that I have learned. I tend to want to try it all and end up not doing very much with anything. I am getting my mojo back! Wow, you guys have taught me sooooo much! I have the tools & inspiration to be a successful agent, great person to work for and with. I realized how powerful support can be:) I have learned ad changed the way I look and feel about actually receiving support and encouragement. I realized I need to slow down, someday:) It's been an AMAZING year, thank you for everything! I cannot believe it has gone by already! You're the best!!! You know, I already had my lead generation system in place, and my follow-up system in place - but for me the change was really about being more consistent (getting things done every month - at the same time and really having a plan to get them done). It was also about just getting things done - and not spending as much time "perfecting" things or checking them multiple times before I sent them out - so that my mailers for my farm and my clients got done and sent out on time and it didn't take as much of my time to do them. I still think I have so much to finish implementing - like the hour of power (more consistently), but I've also been pretty good about doing my pending to active ratios on a weekly basis and using those in my client presentations. I've been doing the Open House Books for all of my opens, and my open house board. And having my branding done has been great - it makes me motivated to send out all of my marketing pieces and I love it so much! I also would have never done the Annual Client Reviews for all of my clients if it wasn't for you. Thanks! Denise knows everything there is to know about the real estate market. She loves to help real estate brokers succeed in their business. She is creative, personable, and willing to help you in anyway possible. She is wonderful to work with! What a wonderful group I have been blessed to have been part of for this last year. I have learned to be more confident in my real estate business and my personal life. I feel comfortable discussing the market with anyone anywhere. I have learned to believe in myself and that I can be successful with hard work and determination. You have given me tools to be happy, successful, to grow, to be organize, to have systems in place and to be accountable to you and myself. I have learned to say no when I know that I have things that need to be done in my business. That has helped my life become more balanced. Thanks for a fabulous year of growth, learning and fun. After looking at the proof page, I have perma-grin. My face hurts, but I just can't stop smiling. Thank you! I LOVE the new swirls... I was so relieved that we found something that worked that my brain totally relaxed. All the frustration that I had been feeling is gone. Thank you! Thank you! Thank you! Thanks so much for my beautiful boards. I picked them up and used them in a listing appointment this evening. This is the first listing call I have gotten in my farm. They signed all paperwork. I am so excited to get a listing in my farm and this could not be more perfect as it is a very visible location. We feel you guys are top notch and we do not utilize all the services and resources available to us through your group. However, regardless of that, we feel that your direction and assistance will put us in a better place on the other end of this for sure. It should position us with a branding, presence and processes that we did not have prior to enlisting your services. Thank you for all you do. Denise is an excellent marketing and real estate expert in our area. She has been the instructor in many classes I have taken and is always well organized and has relevant material to present. In addition, Denise designed my marketing makeover and website for my real estate business. She and her team are always available to answer questions and provide information needed. I highly recommend her for anyone who needs her company's services. Darlene Lyons, President EzEvents Inc.
Denise is a great speaker and a smart marketer! She walks the talk and delivers on her promises. I have done business with her and her team for years and highly recommend them. Coldwell Banker Premier Realty enjoys the strategic approach The Lones Group employs in creating detailed consumer-centric campaigns as part of our overall real estate marketing strategy. The team at The Lones Group is constantly leading the curve with the latest technology, social media trends and has the foresight to help real estate companies effectively attract and engage their clients.